Discussion in 'Amps/Cabs Tech Corner: Amplifier, Cab & Speakers' started by Artie Fisk, Apr 30, 2016. I have an Epiphone Electar 75th Anniversary Century amp. I like it (it's a great grab & go - lightweight and a very clean and loud 18 watts). The only problem (aside from the hum, which my amp tech is going to tackle next week) is that when I crank it up to gig volume, the high end becomes rather, shall we say, unpleasant. Basically, anything above the open B string just gets too spanky. The amp has only a volume and a "tone" control (passive treble roll-off) and if I turn down the tone control, things just get muddy. So, I'm thinking new speaker. Eminence Cannabis Rex? I need an 8 ohm 12" speaker that will tame the icepick and give me open, natural-sounding high end and maybe a tighter and punchier bottom end in the bargain, if such a speaker even exists. My own opinion is that trying to fix a limited tone control design with a speaker is asking a lot of the speaker. But I could be wrong; maybe the speaker really is the appropriate part to address. WGS G12C/S. The smooth cone version. This is fascinating, and cheap. I think I'll try it first. Thanks for the tip! I'm curious if you've been able to solve any of this amps issues. I play in a small town vintage western swing band and this amp would fit right in with our theme with small gigs. Did a little research on these and the hum seems to be more or less an issue with all of them. I've heard it has something to do with careless wire routing and can be remedied by re-routing the ac wires away from the tubes possibly. True? Was your tech guy able to fix? I also heard these amps are very upgradeable and improved tone wise quite a bit by swapping the stock Chinese tubes with (whatever) and another speaker . Just a guess a Vintage 30. I use CR's in three different amps and they do indeed tone down ice pick sounds but you might do a little V1 rolling too. I have one of these. Very few speakers will fit in there. Good luck!! If it's mainly an open B string it sounds like a guitar problem. Try lowering the pickup? I also have an original Electar from the 30s. I haven't tried it in years but if my memory serves it sounded much better. This new one is real honky. The cannabis rex should be solid. Any hemp cone should compress up and roll off some highs. Maybe put a little cap across the negative feedback resistor to tame the highs a bit. Or a little cap across the output tube plates. 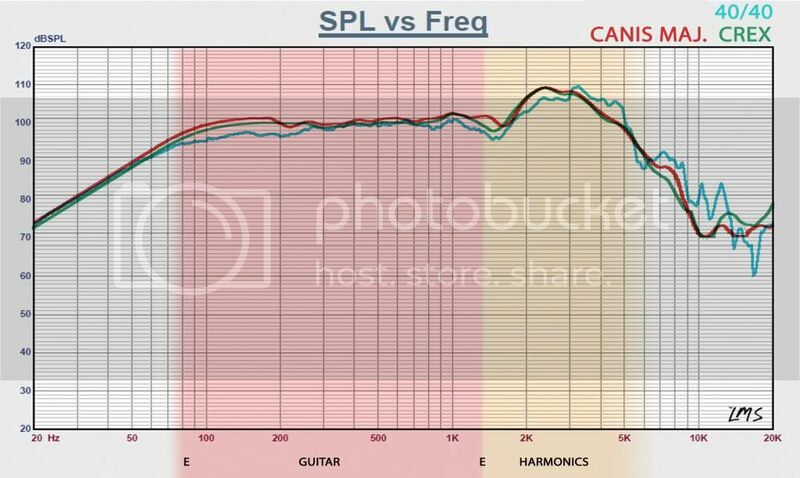 If the amp is fairly new and relatively unplayed, try breaking in the speaker (say 5-6VAC @ 60Hz for a few hours). I've had quite a few speakers that really smoothed out in the trebles after break in, and others not so much. Might be worth a try though. Tone Tubby 40/40, its like a CRex but Bass end is dropped down 2-3db and crispy top end around 3-5kHz is propped up a bit. It's still hemp just like Rex but brighter and more present. It is a chameleon of a speaker that just takes your amps tone and pushes it forward, very balanced in its output. The right speaker should tame it a bit for you. I'd like to say The Crex you mention, but the one I had was a bit flubby on the lows I felt in a BFDR. Hard to recommend without knowing what speaker is in there now. My usual reply that to this question is the wgs et65. No icepick, No hyped mids and no farty lows. The only thing Ive tried as good was a pair of weber 1265's in my carr slant 6-one with s 30 watt voice coil. I just bought a PRS head and I'll have a Vumble cab here tomorrow with another wgset65. I cant wait. Great all around speaker for anything really. I'd even say early metal would be great too. I have 2 Red-Stripe Peavey Bandits that had stock Sheffield 1230's in them, and I had pretty much exactly the same complaint as you - very poor low end, and brittle ice-pick high end. I swapped those out for Eminence Legend V12's and couldn't be happier. Awesome sounding speakers with very smooth mids and high end, and tons of nice tight low end. In fact, I liked the V12's so much I also put them in my 2x12 to use with my JCM 2000 DSL 50, and they sound just as awesome there, no fizz at all, just heaps of great classic rock tone! They are also the stock speaker in Soldano 4x12 cabs. Fix the problem where it happens (the amp) rather then circumventing it (using the speaker). Just my 2c advice. Or... if you wanna spend even less, I mean a lot less as in nothing, you can put a piece of duct tape across the dust cap. If you like the sound then either leave it as is like SRV did or put the duct tape on the inside. I'd never pay $19 for a beam blocker. Very good suggestion on a way to fix it though! If indeed the speaker will help, I would look into the Fane F70. Avatar will have them on sale, for IMHO. Cheap, around the 1st of the year.